There are a variety of reasons why people dread having to that their vehicle to the auto repair shop for Venice auto repair and maintenance. Perhaps the biggest reason why auto repair is considered to be a pain is because the auto service industry as a whole has a rather bad reputation when it comes to customer service. It is easy for auto repair shops to take advantage of their customers and unfortunately many shops do it on a daily basis. Having your car serviced or repaired can also be made more difficult if your vehicle is not currently running. This means that you either have to pay to have your vehicle towed into the auto repair shop or you can arrange to get it their on your own, neither of which is an enticing option. The best option for most vehicle owners would be to have the Venice auto repair specialists come to their car instead of bringing the car to them but unfortunately most auto repair shops do not provide this level of service. Unless of course you are talking about Rolling Auto Service in Venice. With Rolling Auto service you don’t have to worry about finding a way to get you vehicle into a Venice auto repair shop because we will bring the auto service to you. Our unique mobile auto service is designed to provide our clients with a level of convenience that other Venice auto service shops are simply unable to match. Instead of bringing your vehicle in and waiting for hours in a cramped waiting room you can have an expert mechanic come to your home to provide you with the service that you need when you need it the most. Our work van is fully stocked with all of the tools that we may need in order to get your car running again. 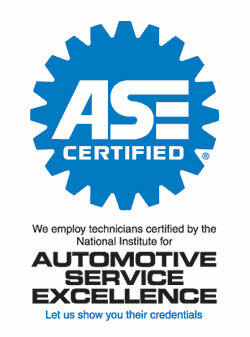 From simple maintenance to engine repair or alternator replacement have an ASE certified mechanic come to wherever you are and provide you with the best Mobile auto repair service in Venice. Posted in Uncategorized and tagged Auto Repair, Auto Service, Mobile Auto Repair, Mobile Auto Service, Mobile Venice Auto Repair, Mobile Venice Auto Service, Rolling Auto Service, Venice Auto Repair, Venice Auto Service on January 1, 2012 at 2:49 am by Rolling Auto Service.